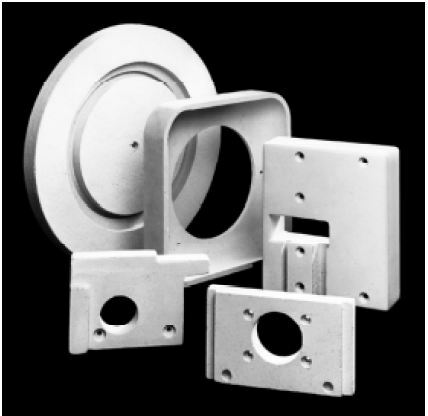 Marinite - Calcium Silicate Insulation Boards - Foundry Service & Supplies, Inc.
Marinite boards are designed to combine structural strength and high thermal insulating values in a variety of fireproofing and heat processing equipment applications. Formed from calcium silicate with inert fillers and reinforcing agents, Marinite panels provide structure and insulation in a single, easily erected material. In addition to high strength and excellent thermal insulting characteristics, Marinite structural insulation is highly damage-resistant, non-corroding, and extremely water-resistant. Marinite panels also provide fire safety, uniform temperature control, minimal maintenance, and fast, easy fabrication. Because of its thermal insulating values and high compressive strength, Marinite P structural insulation is especially well suited to withstand both the temperatures and pressures associated with platen press operations. It also provides durable, low maintenance insulation for large diameter pipe support systems in the power generation and process industries. It provides an ideal backup insulation in rotary kilns in lime and cement plants, and steel ladles, torpedo cars and tundishes in steel plants. In these applications, Marinite P has withstood estimated hot face temperatures of 1700-1800ºF, and has performed well where less compressive-resistant boards have failed. 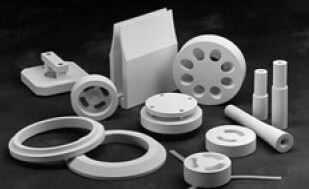 Marinite-A and Marinite-C are heat treated formulations for use in conveying, containing and forming molten aluminum and other non-ferrous metals. 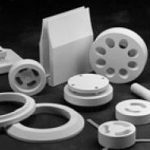 Applications include holding furnace linings, tips for continuous casters, transition plates, rings, plugs, baffles, troughs, spouts, floats and filter boxes.